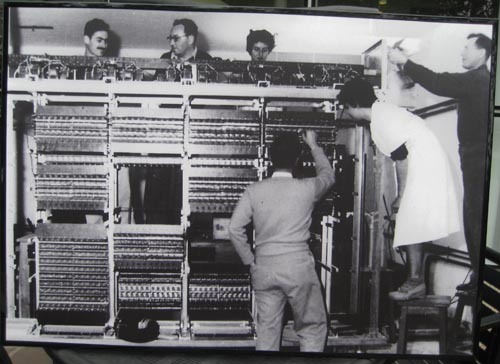 B&W poster of people working on WEIZAC computer mainframe. On Stools: Ruth Be'Eri, ? ?